Hi friends! Today I have something a little different to show you. Silicone stamping and nail art mats have become a staple item for nail artists. There are so many things you can use these for; test out colors, test stamping, reverse stamping, nail art decals, protect work area, and plenty more I can’t think of. Since they are silicone everything washes away easily with acetone. I decided to use it for drag marble decals. This is a fairly new technique and it was my first time trying it. I made a few mistakes, but overall I’m quite pleased with how it turned out. I started with 3 large drops of polish, in each color I chose. I used a small nail art brush to gently drag through the polish until I was pleased with the design. I let everything dry for probably an hour, then gently lifted my decals from the mat and cut out sections to fit my nail. I applied a sticky base coat to my nails, adhered the decals, and finished off with a glossy top coat. I cleaned up any excess with some acetone and a clean up brush. Sound easy? They really were! I do think that choosing the right colors is key; they should be different enough that blending them doesn’t just create one blobby mess. 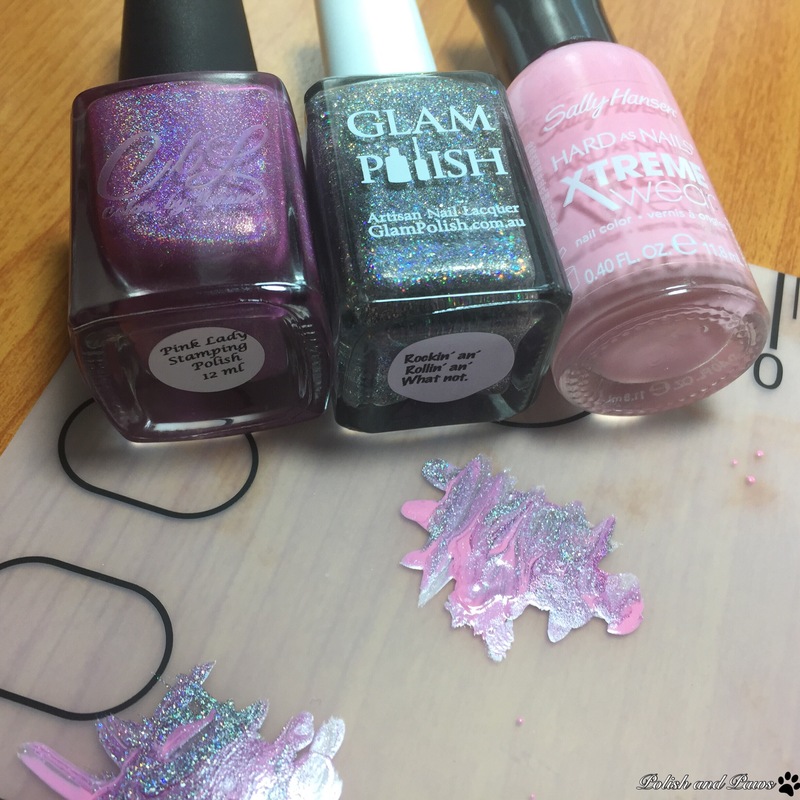 I chose 2 colors in the same family, yet quite different, and the holo glitter polish for some sparkle! These mats are fantastic for nail art. What I really liked about the small size was that I could blend the polish, then just set aside to dry while I continued to work on other things. I use silicone mats as my work space to protect the desk; and I can’t tell you how many times I have set up some decals then ended up smudging them because I was working on something else right over them. Having an additional small mat completely eliminates thay problem. They are perfect for traveling too! 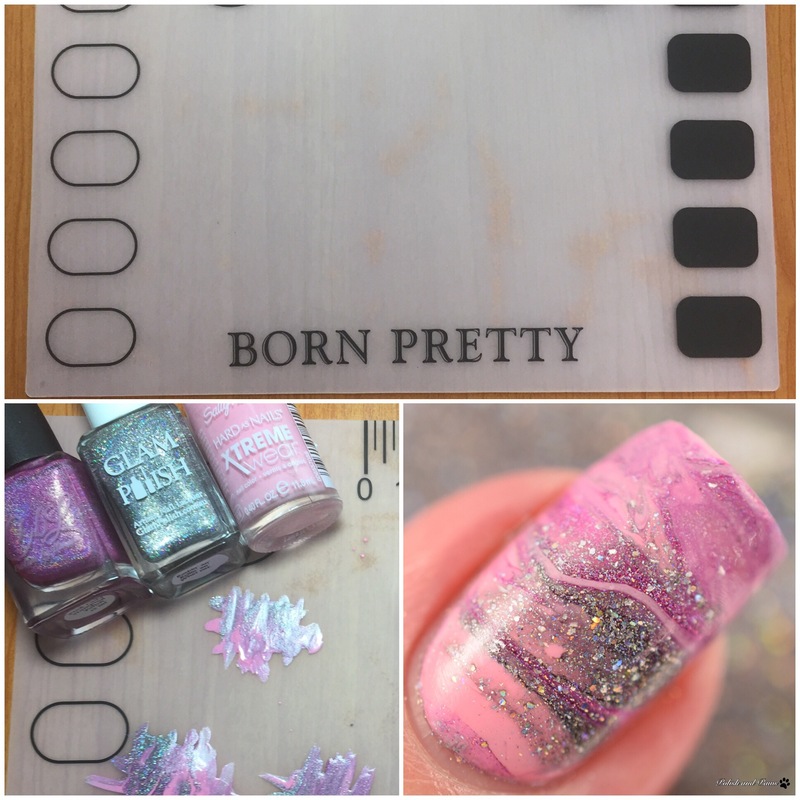 This mat can be found here, as well as thousands of other nail art items from Born Pretty Store. And don’t forget my code TFFQ10 for 10 percent off! I really need to get myself one of the smaller mats. They seem so convenient! I love your mani! I like that this mat is small. I hardly use my mats anymore cuz they’re so large and I do my nails on a tray table so it’s just a pain to store it when I’m not using it. 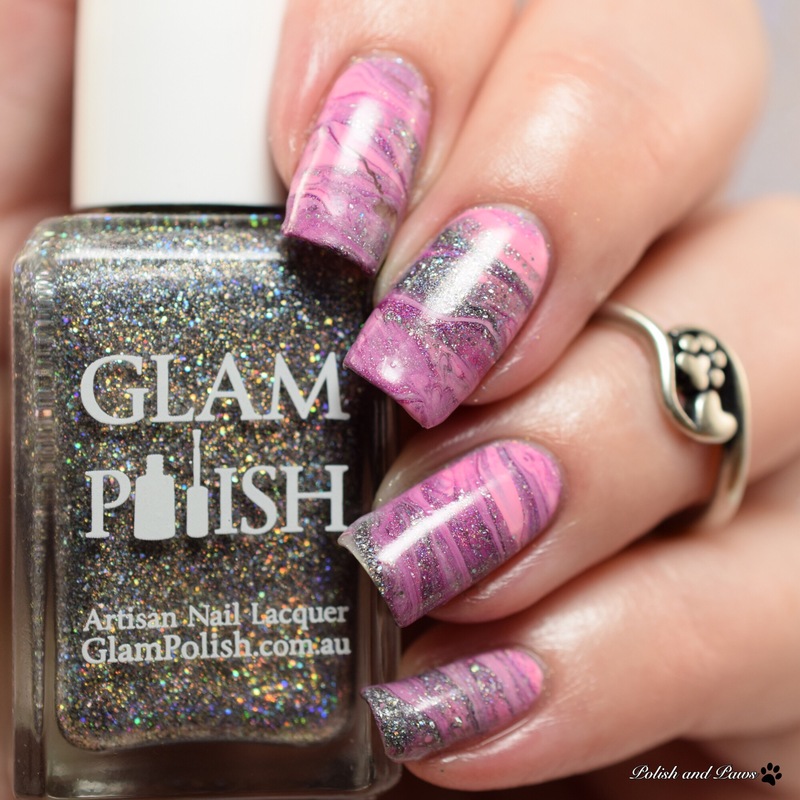 This is a great looking mani. I will have to try out the mat! 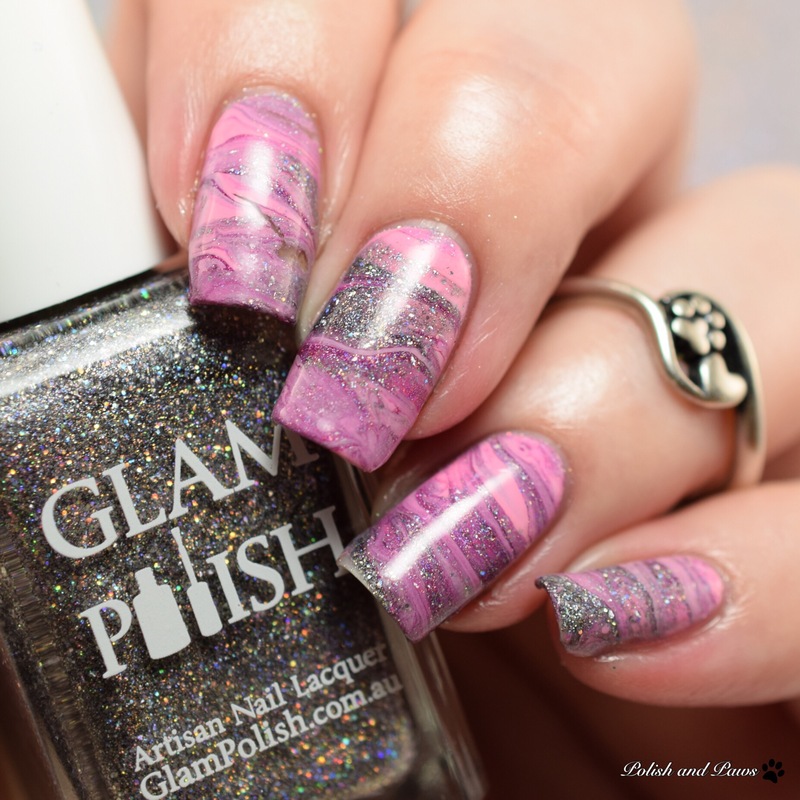 Beautiful nail art and I’m happy to read you liked the mat!